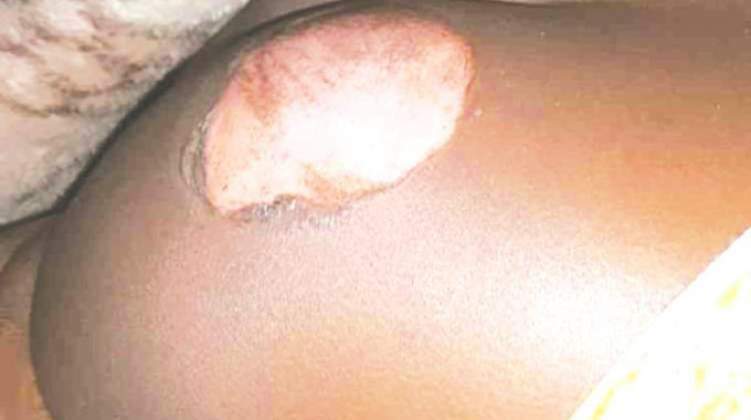 A 12-year old Dangamvura juvenile is struggling to sit and sleep after her mother and sister allegedly ganged up and took turns to burn her all over the body with a hot iron for coming home late last Sunday . The girl (name withheld) who is doing Grade seven at Nyamauru Primary School, sustained serious burns on her privates, back side, hands, thigh and cheeks. Police have since arrested the girl's mother and sister (names withheld), aged 50 and 21 years respectively. The girl, according to neighbours and witnesses, was 'punished' for allegedly being a problem child. When The Manica Post visited Dangamvura Police Station on Tuesday morning the mother and relatives had been summoned for questioning. The girl was also present but could hardly sit. She was kneeling down whilst her hands were on the bench. She was in pain. The Manica Post was barred from talking to the girl and family members. Officer-in-charge at Dangamvura police station, Chief Inspector Sakurungo referred reporters to Manicaland provincial police spokesperson, Inspector Tavhiringwa Kakohwa. did not take her to the hospital. We received a tip off which subsequently led to the arrest of the two." Neighbours interviewed said they heard the girl crying for help on Sunday evening. "She was screaming and we heard some voices of women saying switch on the iron, she must learn a lesson. She tried to escape but failed. We were worried but there was nothing we could do. The girl's mother is not that sociable so we did not bother to go and check on what was happening,'' said one neighbour who declined to be named. Before the incident, the girl had sought refuge at her mother's friend's house, known as Mai Mzemba after she had come home late and sensed danger. Mai Mzemba, who witnessed part of the incident said: "This girl came to my house around 7pm on Sunday saying she had been chased away from home. So I told her that I wanted to see her mother and inquire why. After all, we knew she was lying. I refused that she would sleep at my house without her mother's knowledge. She did not want to go home. I went to see her mother (who is not feeling well) and we learnt that she was a troublesome girl. Her mother was really infuriated, mainly because she was not dressed completely. Like any other parent she might have concluded that she was sexually active."